Well, we made it to Spring. But we still haven’t made it to Summer, so that means we are still packing school lunches for at least another 3 months. Oh boy. Today we are giving the granola bar a little bit of zazz. Ya…that’s officially a word today. Zazz. We took our basic granola bar recipe and zazzed it up with a bit of “citrusy” goodness and a happy helping of chocolate. 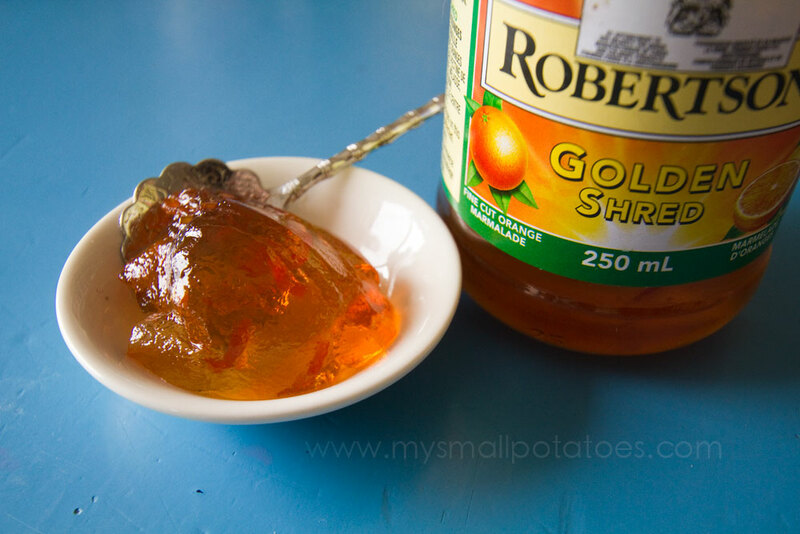 You know those chocolate oranges by Terry’s that you whack on the table and break into wedges? If you don’t, you must track one down and try one. If you do know the orange, well…you know how good these bars are going to be! It was the Terry’s Orange that inspired these zazzy bars in the first place! 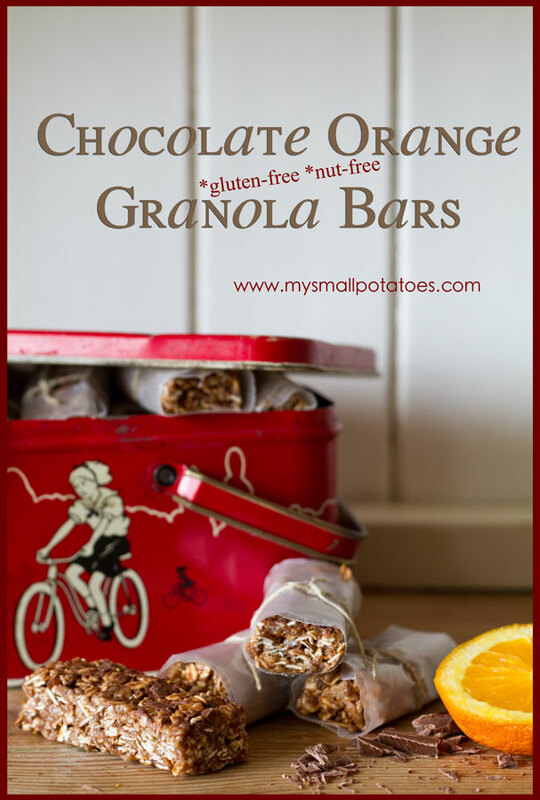 How did we get the orange into our granola bars? 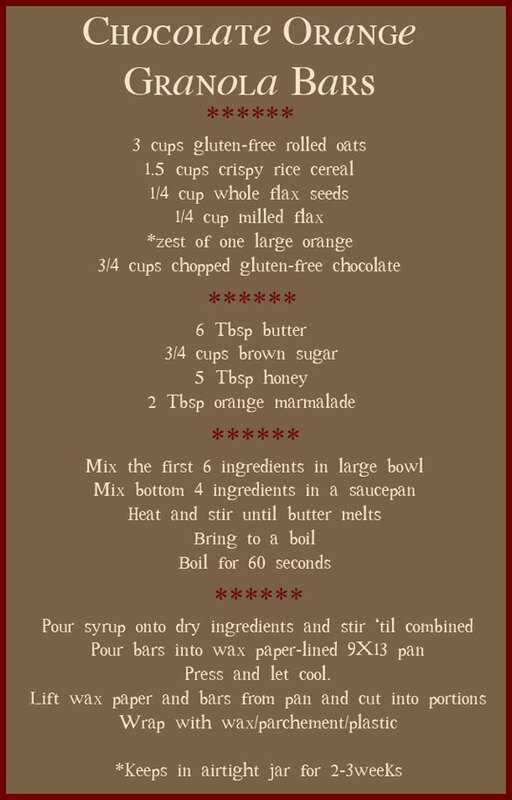 A little orange zest, and a bit of good, old-fashioned marmalade, that’s how… I replaced the molasses in our old recipe with 2 Tbsp of marmalade, and used the zest of one whole orange, giving the bars just enough citrus to blend nicely with the chocolate. Now here is your big question… Yes, in some cases it is. In fact, in many cases it is. 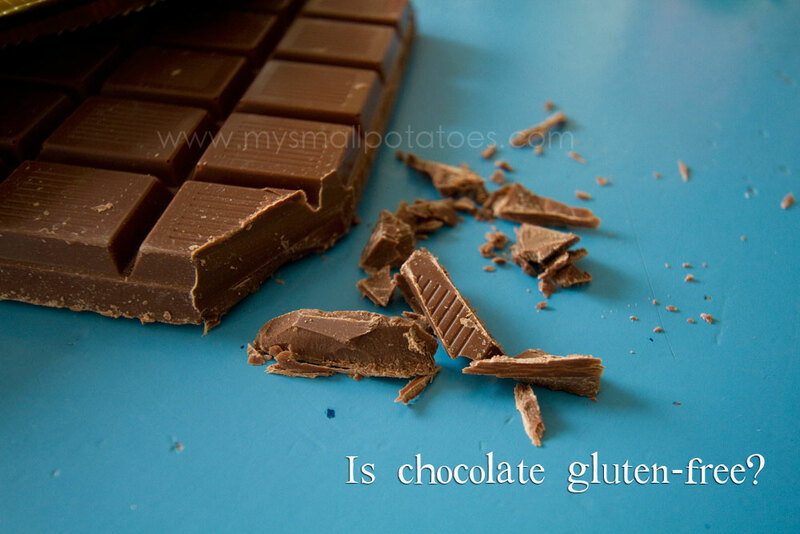 If you follow THIS LINK, you will find a list of all the chocolate bars that are gluten-free. You will be surprised to see how many familiar brand names are listed! *Make sure the one you choose is also nut-free if you are worried about nut allergies. 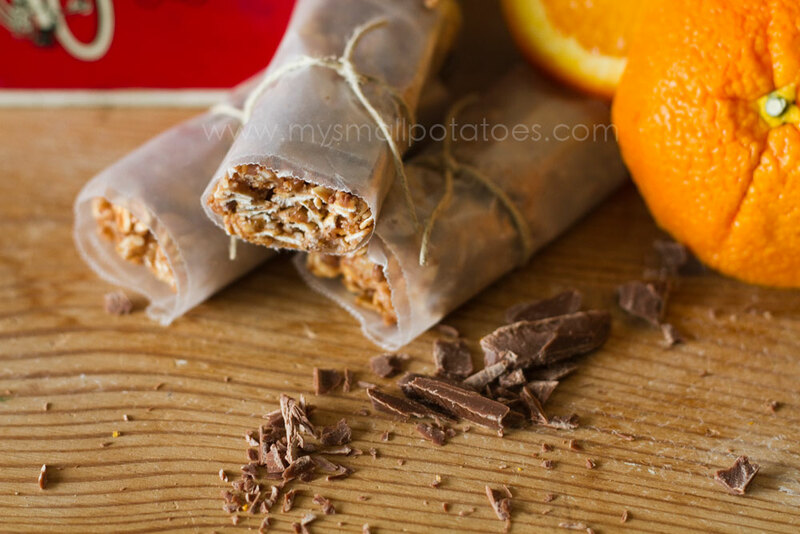 If you are a fan of orange and chocolate together, these bars really are as good as they sound. I promise. Even the smalls gobbled them up at snack time today! Enjoy! And thanks for stopping by! This looks yummy!! My kids would love this! 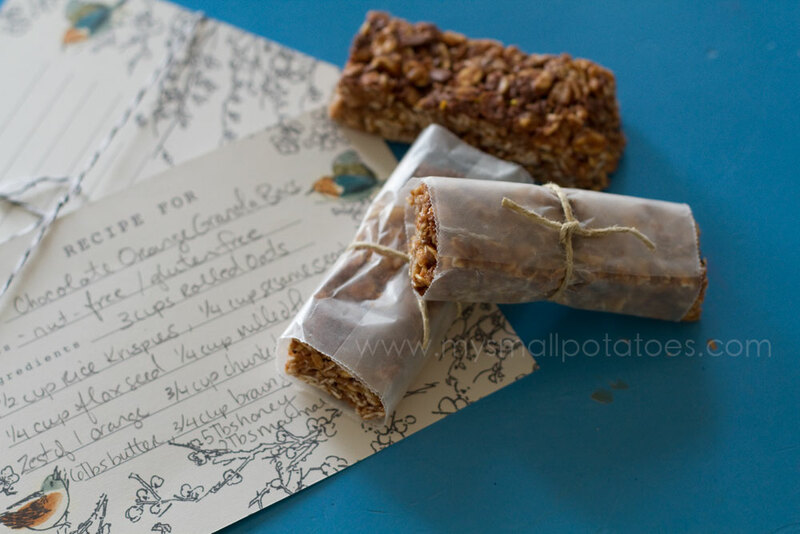 Can I reblog this recipe for other nannies looking for healthy snack options? Thanks, Kelsey! And you bet!! Thanks for asking! Enjoy! Ok, one more blog for the day. Don’t these look scrumptious! Super healthy, easy to make and YUMMY! The original recipe has room for experimenting. I think I am going to make a chocolate strawberry bar and a smore inspired bar. 🙂 Enjoy!